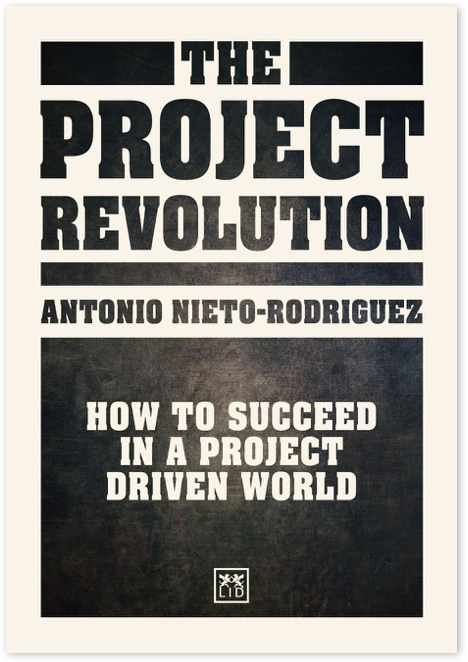 Antonio Nieto-Rodriguez | The world's leading champion of project management and strategy implementation. My Purpose is to help corporations, governments, and organizations to excel in their transformation projects and achieve more profound impact on our society. For years, my personal quest has been for every individual, student and leader, to learn the basics of leading projects successfully. Every aspect of our lives is becoming a set of projects. The speed of change witnessed in the past decade has radically affected the way we organize and manage our companies and work. Many of the traditional activities in organizations will soon be carried out by automation and robots. In this new landscape, projects are becoming the essential model to create value. In short, we are witnessing the rise of the project economy. Leading projects thinker Antonio Nieto-Rodriguez explains the reasons behind, and the tremendous consequences, that this unnoticed disruption is having in our lives. He looks at how some leading companies, governments, schools, and universities have already embraced projects as the way to deliver on their strategy and ambitions. Ultimately, this book explains how individuals and companies can develop the competencies required to transform and thrive in the new digital and project-driven economy. JUST RELEASED! ORDER IT NOW!! 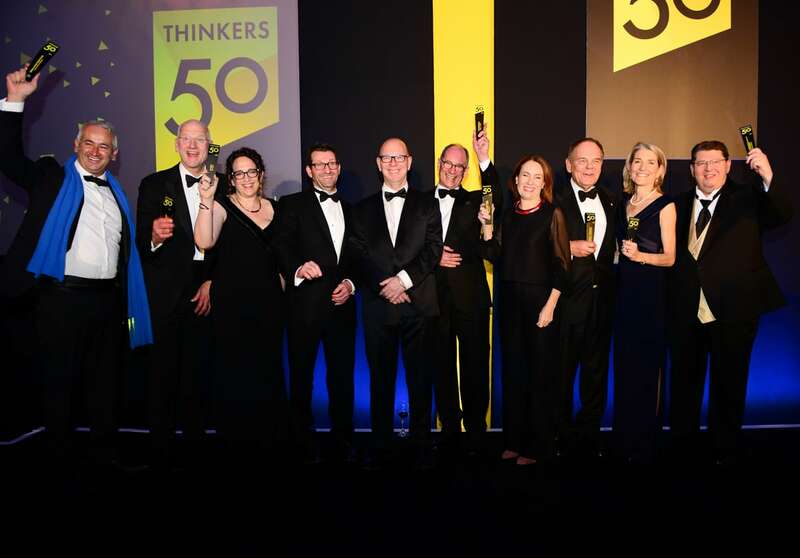 Last Monday I had the pleasure to participate in the Thinkers50 Gala in London, an event that is considered by the Financial Times the “Oscars” of Management and Leadership thinking. I always wondered what it would be like participating at the Oscars and receiving one of the Awards. Well, it happened. 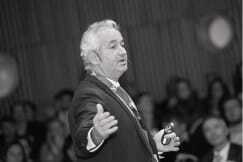 Antonio Nieto-Rodriguez is considered one of the most influential thinkers in management and leadership. 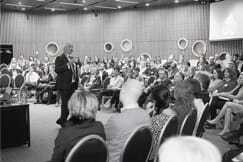 He regularly participates in events with the most thought-provoking management gurus in the world, including Michael Porter, Rita McGrath, Erin Mejer and Marshall Goldsmith. There is no better way to finish a year full of exciting news with Roger Martin. Roger has an extraordinary career, full of achievements and recognitions. 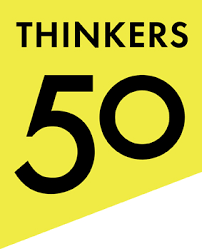 In 2017 he was named the world’s #1 management thinker by Thinkers50. 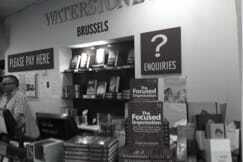 He has published 25 articles in Harvard Business Review and 11 bestselling books! Most of us have experienced coaching in our professional lives. At one point, we want to get better, improve some our weaknesses. It is often a painful process, which requires moving out of our comfort zone. Sometimes the coaching process works, but often it doesn’t. 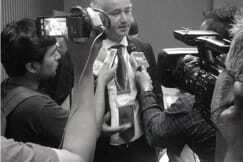 Antonio is regularly featured by leading business and management media. 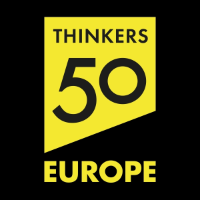 Antonio has been nominated as one of the world’s top 50 leadership & management thinkers. Our life is a project. The most significant disruption of the 21st century is not technology, artificial intelligence or big data, but it is the way organizations and countries will be managed – through Projects. Project Management is the lingua franca of the business and personal worlds from the c-suite to managing your career or relationships. Organizations are turning into Project Management to execute their strategies, to respond faster to changing market conditions; to anticipate competition. CEO’s are becoming the ultimate project managers. If one-day poverty and famine will be eradicated from the surface of the earth, it will be through a Project. 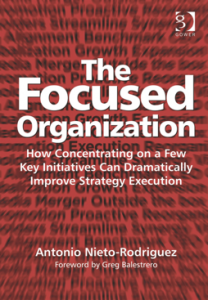 Most aptly named The Focused Organization, Antonio Nieto-Rodriguez’ book discusses how fewer, more effectively elected and managed projects are the key to strategy execution and long-term success and how project management is a key in this process. Organizations that focus on just a few key initiatives are able to perform significantly better than organizations trying to achieve too many objectives. This focused approach not only impacts organizations financially but also assists them in achieving strategic objectives, motivating staff and in this way resulting in profitable organizations. 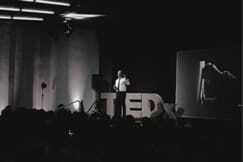 In his TEDx Talk, Antonio unveils why our brain tends to be masochist and how we can turn it around to focus on the positive side of disruptive change. 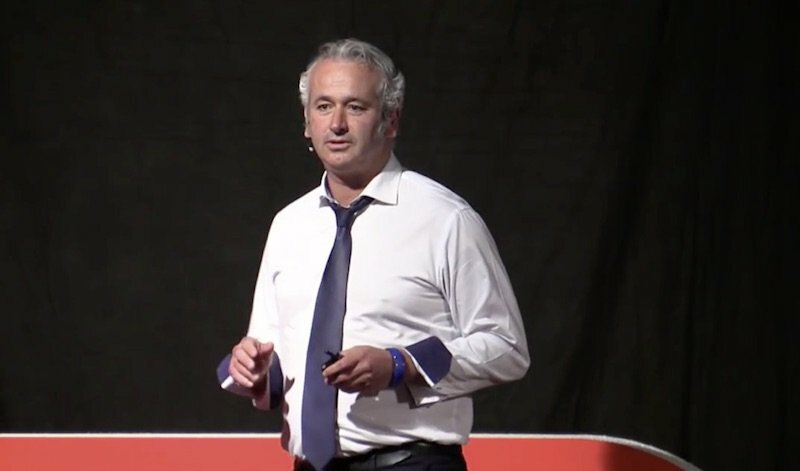 In his TeDxTalk, Antonio unveils why our brain tends to be masochist and how we can turn it around to focus on the positive side of disruptive change. Learn how leading organizations, such as Apple, Lego, Huawei, Singapore Airlines… create a culture that thrives for strategy execution through extreme prioritization. Hear what can be learned from the failure of the largest acquisition in the Financial Sector history, the takeover of ABN AMBRO; and GE’s key ingredients for successful M&A. Find inspiration from the world’s most astonishing disruptions, like Ryanair, Uber, Philips, Tesla…, ; and the crucial role leadership plays in today’s turbulent times. Dalai Lama, Steve Jobs, Warren Buffet, and other great leaders have one common skill: their ability to Focus. Learn how to increase Focus and rise Productivity, Happiness and personal Satisfaction. Learn the next generation of Project Management, PMOs and Portfolio Management; how to become a project driven organization to accelerate successful implementation. Banking, Pharma, Oil, Gas, Telecom, Retail, Professional Services…, whatever the industry, the future will be different, find out the latest trends, and how they will impact your organization. InBev, Facebook, Inditex…, world class Board of Directors shifted their focus from value preservation – monitoring – to value creation – leading. Understand how. 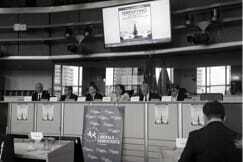 Successful governments craft a long-term vision for their countries and regions; and focus on policy implementation. UAE, Singapore,.. started decades ago, hear how. 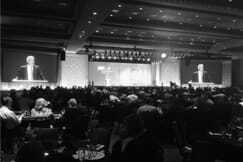 Some Conferences Where Antonio has delivered award winning speeches. Create a culture that strives for execution, excellence and collaboration. Assistance to Chairs and Directors in shifting the focus of their BoD from value preservation (monitoring) to value creation (leading); and increasing the strategic dialogue. Advise to CEO and Executive Teams on how to increase value creation by developing their organizations strategy implementation competencies and drive execution. Support in the design and set-up of a Portfolio Management Office; design of a project selection and prioritization framework; implementation of PPM tools. Assistance in the transition from a traditional technical / monitoring PMO to a strategic / leading PMO; embracing the creation of a world-class PMO Center of Excellence. Learn why most mergers fail to deliver the expected synergies in the integration, and how you can increase the rates of success of your mergers. Support in setting up and running of Integration Offices. Assistance to senior government officials in setting up a vision for their country / region; support in the selection and implementation of policies; pre & post impact evaluation. 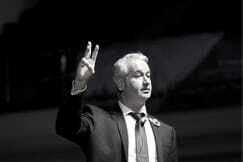 Antonio has presented at more than 120 conferences around the world, regularly evaluated as the best speaker. 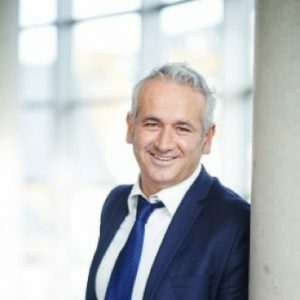 His work focuses on advising senior leaders on how to lead transformational change; prioritize and implement strategic initiatives; build high-performing teams; work across silos and become a learning organization; all essential elements to create a culture that strives for execution, excellence and collaboration. He is a much in demand speaker at events worldwide. Over the past 15 years Antonio has presented at more than 160 conferences around the world, regularly evaluated as the best speaker. 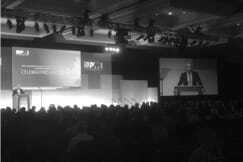 European Business Summit, Strategy Leaders Forum, Gartner Summit, TEDx, and EU Cohesion Policy Conference with EU President Donald Tusk; are some of the events he has delivered inspirational keynotes. 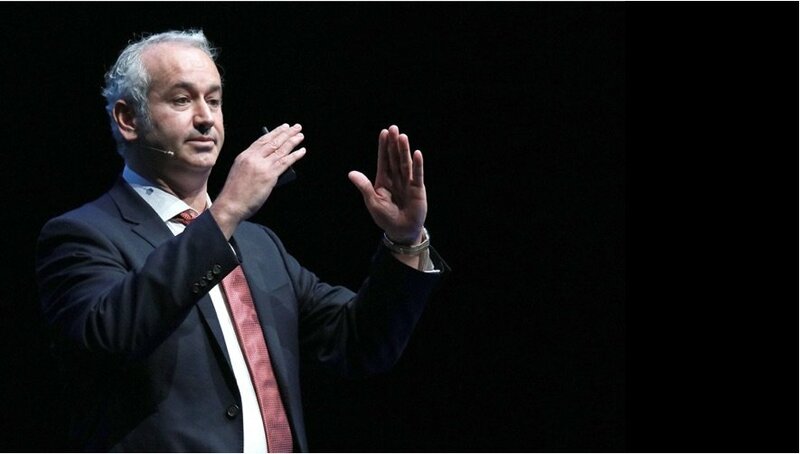 He is the author of the best-selling book “The Focused Organization” and has been a visiting professor for the past decade in leading business schools, including Duke CE, Instituto de Empresa, Solvay Business School, Vlerick, and Skolkovo. Antonio is Director of the Program Management Office at GlaxoSmithKline Vaccines and Chairman of the Project Management Institute. Previously he worked as Head of Transversal Portfolio Management at BNP Paribas Fortis for the Executive Board, where he developed and implemented a company-wide project selection and prioritisation process. He was head of Post-Merger Integration at Fortis Bank, leading the largest takeover in financial service history: the acquisition of ABN AMRO. 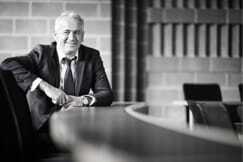 He also worked for 10 years at PricewaterhouseCoopers, becoming the global lead practitioner for project management. 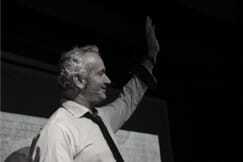 Book Antonio for your next conference – you will not regret it.